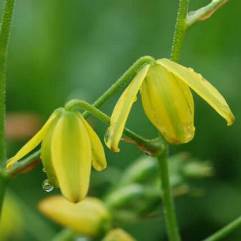 Albuca is a genus of plants in the family Asparagaceae. Most of the 30 species of bulbous plants in this genus are native to Southern Africa, only a few are suited for cultivation. Leaves range in length from 8 cm to 1.2 m and may be flat or keeled. 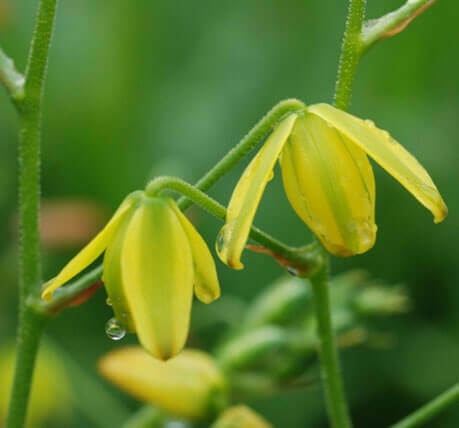 Scented flowers with 6 petals in bell-shaped, are yellow or greenish white, in loose racemes on tall stems. The fruiting capsule has many black seeds. 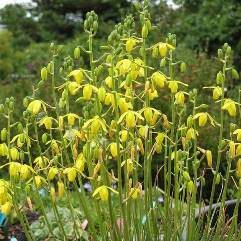 Albuca Spiralis is a spring, summer to autumn flowering bulb. 25cm spiraling leaves. 30cm spikes of yellow flowers with 30 - 50 flowers per spike. 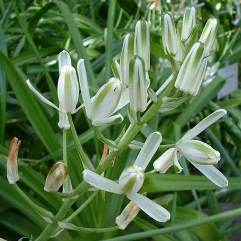 Unusual aniseed perfumed flowers. Winter dormant.